The Sony FE 50mm f/1.8 Lens is a compact, lightweight lens with an extremely popular, "normal" focal length and a very attractively wide aperture. Stopped-down somewhat, this lens produces very sharp images. Adding the "Cheapest Sony FE lens" title to the other features lands this lens near the top of Sony's best seller list. This lens is a great intro to the world of prime (single focal length) lenses and beginners (or those on a tight budget) may find this a great starter lens, one adequate for most general purpose needs. Sometimes, it is easy to justify the purchase of a lens for a subset of its attributes (such as price), but when it is time to select the ideal lens for a particular use, the focal length always becomes a very important attribute. The focal length determines the angle of view which determines the subject distance required for the desired framing and the distance from the subject determines the perspective. The 50mm focal length is wildly-popular and it has a great number of uses. On a full frame body, a 50mm focal length appears very natural, approximating how we perceive a scene with our own eyes in field of view and perspective terms. In the film days, a 50mm lens was often available in a 35mm SLR kit, indicating both this focal length's popularity and its general purpose usefulness. While not available in manufacturers' camera kits today, 50mm (or very similar) focal length prime lenses are found in all major brand lineups, with some having numerous options, showing the continued popularity of this focal length. 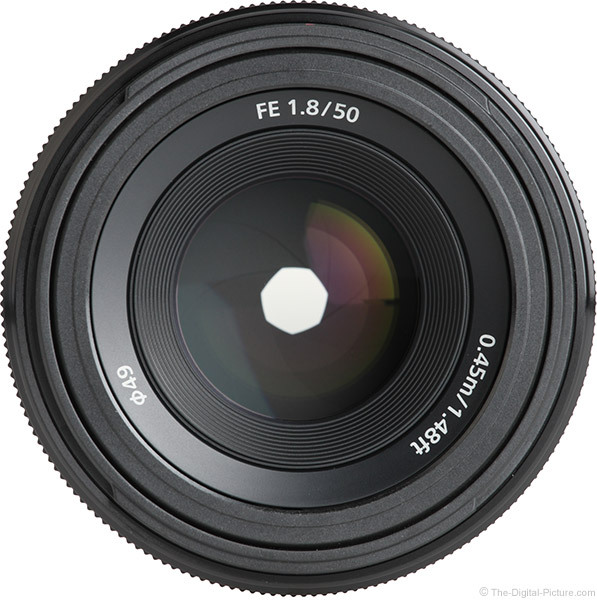 Fifty mm lenses are frequently used in fashion, portraiture, weddings, documentary, street, lifestyle, sports, architecture, landscape, around-the-home and general studio photography applications including product photography. As you likely noted, a number of the good applications for this lens include people as subjects. A 50mm lens used on a full frame body is modestly too wide angle for tightly framed head shot portraits (a too-close perspective is required, at least for my taste), but it is great for wider portrait framing. Mounted on a Sony APS-C/1.5x body, a 50mm lens delivers an angle of view equivalent to a 75mm lens on a full frame body. This tighter angle of view is useful for the same purposes just mentioned and tighter-framed portraits retain a better perspective. Among prime lenses, an f/1.8 max aperture is not greatly exciting, but for lenses in general, an f/1.8 aperture is very wide. Compared to the 50mm max aperture of kit lenses, f/1.8 is huge and an especially large aperture when the compact size, light weight and very low price of this lens is considered. Use the wide aperture to gain a faster shutter speed, ideal for stopping motion, including moving subjects and a shaking camera, under even very low light conditions. A lower ISO setting is the alternative to a faster shutter speed and lower ISO settings mean lower noise images. Also use the wide aperture to create shallow depth of field, making the background strongly blurred and making the subject clearly stand out against an attractive, non-distracting background. Wide apertures are appreciated by AF systems, providing adequate light to perform their function. Consider the difference between the widest aperture in your current 50mm lens and those available in this lens. 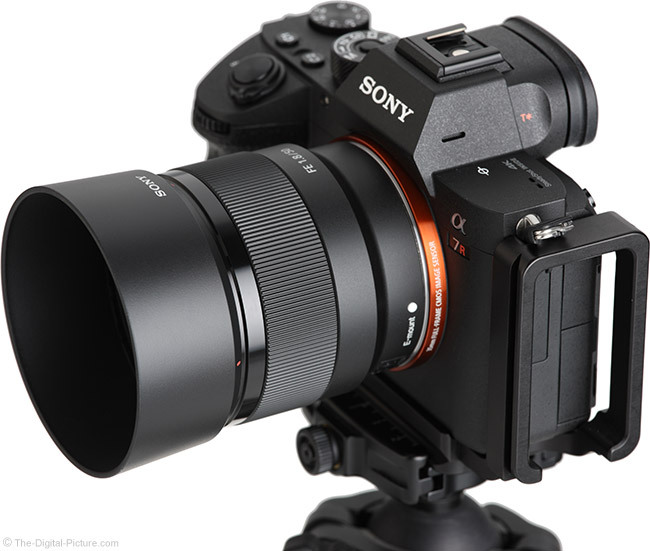 The Sony FE 50mm f/1.8 Lens is not optically stabilized, but Sony generally takes care of that issue with Steady Shot or IBIS, the acronym for "In-Body Image Stabilization". 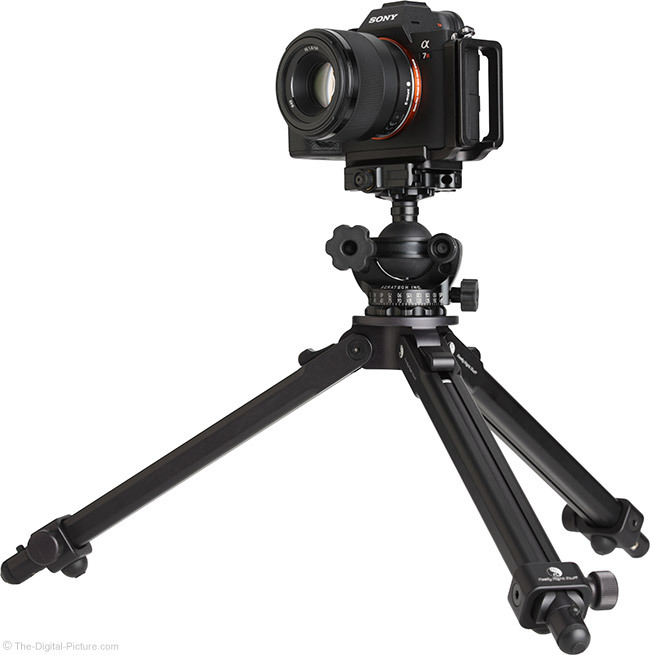 On a traditional DSLR with an optical viewfinder, IBIS results in an unstabilized view, meaning that stabilization was not helpful for composition or for providing a still subject to the camera's AF system. With EVFs being prevalent in Sony's lineup, the viewfinder image is being read from the imaging sensor, which is stabilized. 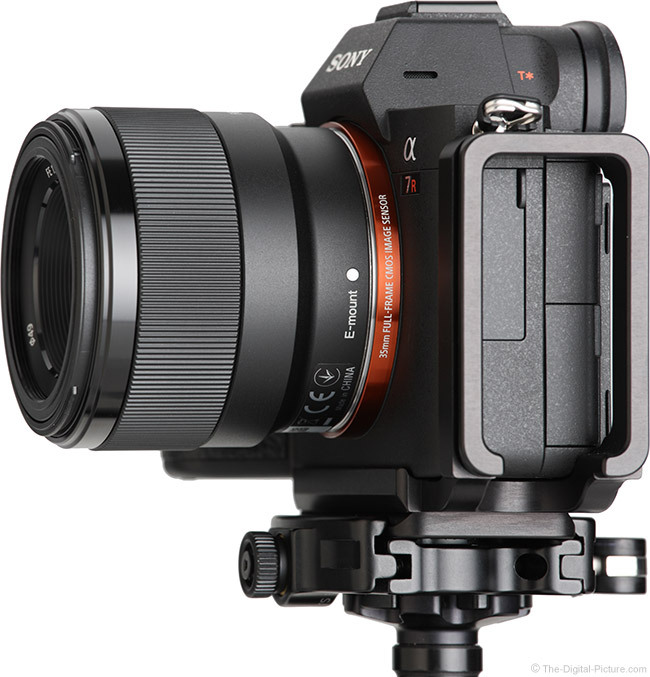 Therefore, the viewfinder image is very nicely stabilized and sensor-based AF has a stabilized view of the subject. Mounted on a Sony a7R III with Steady Shot enabled, I was able to handhold this lens with a nearly perfect sharpness rate at 1/6 second exposures. Combine an f/1.8 aperture with a 1/6 second exposure and this lens is ready for very dark conditions. 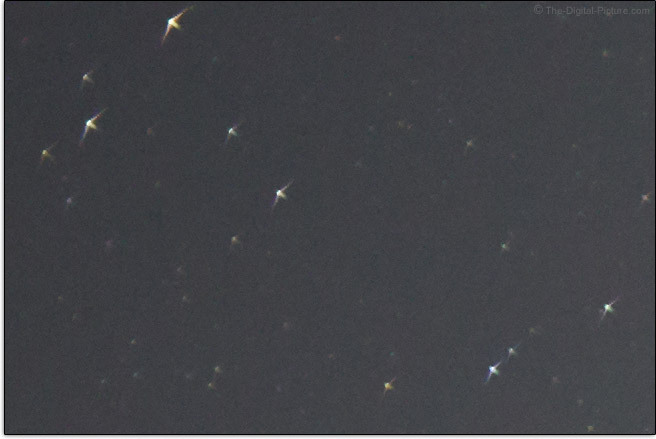 At longer exposures, the sharpness rate dropped significantly, but I have very sharp images captured at .6 seconds. This testing was under ideal circumstances (indoors, concrete floor) and your results will vary based on your own skills and the conditions you are shooting in. My experience showed a nice 3 or 4 stops of assistance being provided by IBIS for this lens. A cheap lens with a wide aperture makes me immediately question the image quality it can produce. Did this lens surprise me? Read on. At f/1.8, a bit of softness covers the frame. A slight improvement is seen at f/2, but a more substantial improvement, especially in the center of the frame, is seen at f/2.8 where the center of the frame is very sharp. At f/4, the center of the frame is razor sharp and the periphery is showing nice improvement. At f/5.6, this lens is very sharp across an entire full frame sensor. Stopping down to f/8 or narrower apertures primarily brings more depth of field. Only very slight improvement in extreme corner sharpness is seen at f/8. In addition to our standard lab tests, I like to share some real world examples. Below you will find sets of 100% resolution crops captured in uncompressed RAW format using a Sony a7R III. These images were processed in Capture One using the Natural Clarity method with the sharpening amount set to only "30" on a 0-1000 scale (avoiding over-sharpening halos). Shown here are examples from the center of the frame. These results mirror what we saw in the lab tests. Results at f/1.8 cause marketing departments to pull out the "dreamy" descriptor, though only slightly dreamy in this case. Stronger sharpening brings noticeable improvement to the f/1.8 results. Stop this lens down to f/2.8 or f/4 and the center of the frame image quality is going to delight you. You might notice the focus shift attribute in one or more of the examples shared above. 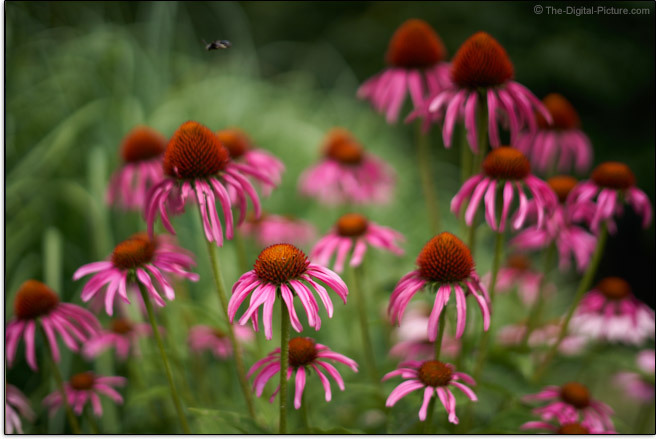 When the aperture is narrowed, the depth of field increase primarily moves rearward. That is, when focus is locked at the widest aperture. To clearly see differences between apertures, manual focus is used for these tests, but Sony seems to account for this shift when AF is used. Two sets of extreme corner results, captured and processed identically to the previously-shared results, are presented below. The first set is from the top-left and the second is from the bottom-left. As the aperture narrows, the blur goes away and at f/5.6, the extreme corners are looking quite decent. 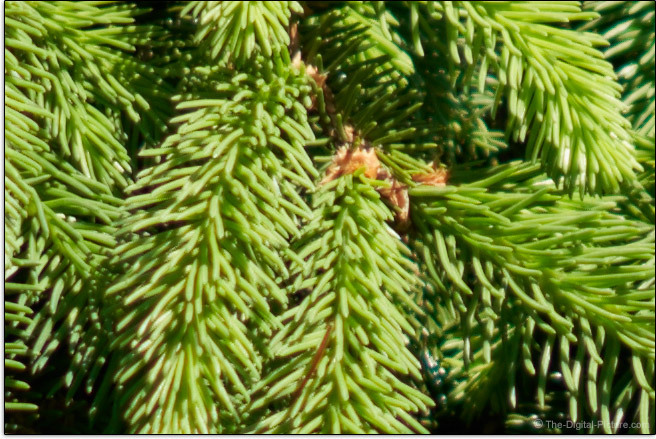 At f/8, corner image quality improves even further, certainly enough to gain a "very sharp" descriptor. 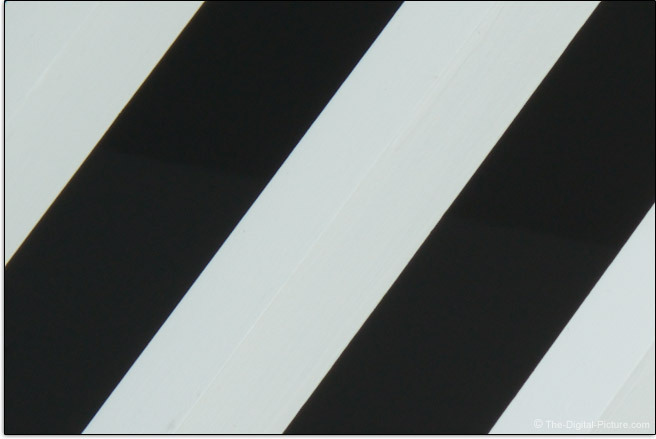 Obvious when viewing the corner results is that peripheral shading is in play at the wider apertures. This is normal and the amount at f/1.8 is about 3 stops, a readily noticeable amount. By f/2.8, the corners are looking considerably brighter with about 1.4 stops of shading still present. Vignetting continues to lessen as the aperture narrows with about .8 stops remaining at f/4. A not-usually-noticeable .6 stops remains over the balance of the aperture range. Vignetting can be corrected during post processing with increased noise in the brightened areas being the penalty. If a subject's face is in the darkened portion of the frame, correction is often the best option. Vignetting can also be simply embraced, using the effect to draw the viewer's eye to the center of the frame. The effect of different colors of the spectrum being magnified differently is referred to as lateral (or transverse) CA (Chromatic Aberration). Lateral CA shows as color fringing along lines of strong contrast running tangential (meridional, right angles to radii) with the mid and especially the periphery of the image circle showing the greatest amount as this is where the greatest difference in the magnification of wavelengths exists. With only one focal length to be concerned with, prime lens designers can often mitigate this issue and the Sony FE 50mm f/1.8 Lens' designers have done just that. There should be only black and white colors in this top-left corner crop and that is mostly what we see, with only very minor color fringing evident. This lens performs very well in this respect. In regards to flare, this lens turned in excellent results, showing very minimal artifacts in our testing. The tiny lenses/groups count of 6/5 in this simple lens design shows an advantage here. The color-indicated lens element is aspherical. Coma is generally recognized by sharp contrast towards the center of an image and long, soft contrast transition toward the image periphery. 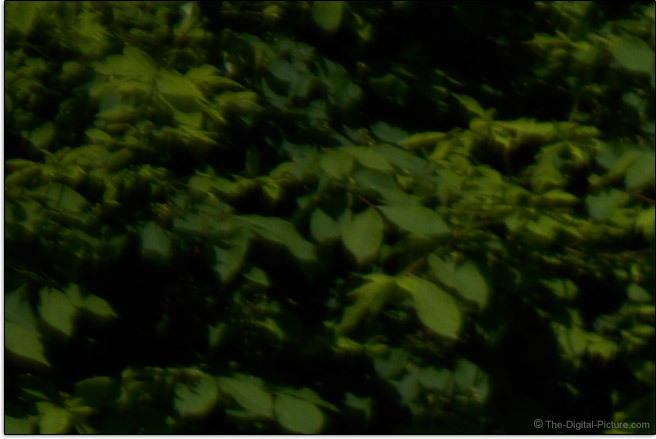 Coma becomes quite visible mid-frame and in the corners of images captured at wide apertures and significantly resolves when the lens is stopped down. Astigmatism is another lens image quality attribute that is apparent in the corners and the pin-point stars in the night sky are a subject that makes these aberrations, along with some others, easily recognizable to me. The following crop is from near the top left of the frame and ... those stars look like winged-insects to me. Linear distortion is not a problem this lens has. Again, lens designers creating a single focal length lens can often tune the geometric distortion profile to near ideal and that is the case here. 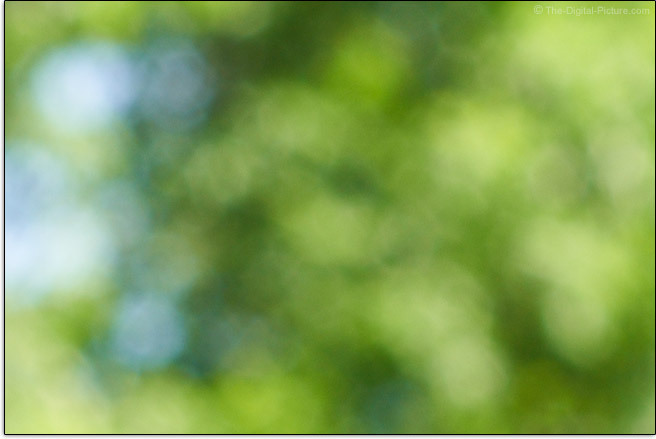 Next, we'll look at bokeh, referring to the quality of the blur seen in the out of focus portions of an image. In the first three examples, we see 100% center-of-the-frame crops captured at f/8. The outdoor examples show reasonable smoothness as does the indoor crop that exposes the aperture blades creating 7 rather straight sides to specular highlights. The full image shown reduced in size hints at a busyness to the blur and the CE (Cats Eye) example, a somewhat-reduced corner crop captured at f/1.8, shows some mechanical vignetting with a large entrance pupil. You can count the 7 aperture blades in the specular highlight example and 7 blades, being an odd (vs. even) number translates into 14-point stars when small, bright lights are photographed at narrow apertures. 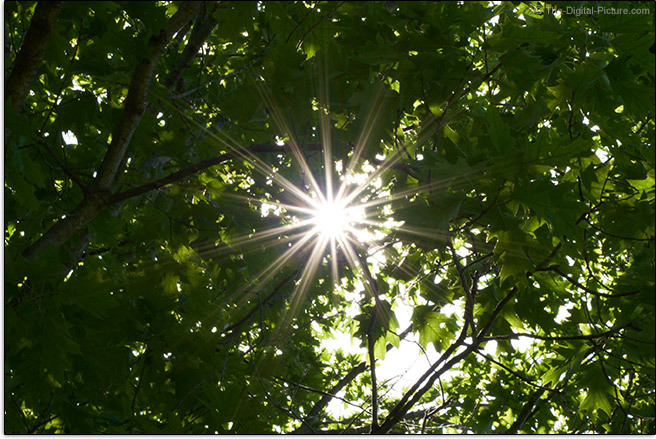 While this light is not completely round (due to the leaves in the tree making an imperfect aperture opening), the points can be seen. The multi-rayed aspect is not my favorite. For each image quality aspect, the Sony FE 50mm f/1.8 Lens seems to hit big (distortion, flare, lateral CA) or a miss (axial/spherical, coma). Overall, image quality at f/1.8 is not great, including a bit of softness, but image quality at f/4-5.6 and narrower is very nice. Especially so for the price. Concessions must be made to keep prices low and the Sony FE 50mm f/1.8 Lens' AF system, featuring a moderately-audible, rather slow DC autofocus motor, is such. While the speed of focusing is in part the lens' responsibility, the camera has a role and currently, Sony cameras de-focus the lens slightly before focusing on the subject in AF-S single shot focus mode, even if focusing at the same distance with the same subject. When the lens is slow to focus and the camera is sending the lens on a hunt, the overall focus speed is very slow. In AF-S single shot focus mode, expect to wait about a second until the camera takes the photo, even if the camera is tripod mounted, the subject is motionless and you have just taken a photo of the same subject. When we look at camera shutter lag specs in the low milliseconds, this focus lock time completely negates any advantage the same may have. If you need to focus and shoot quickly, to catch a fleeting moment, this might not be the best lens for you. Perhaps hearing the focusing process will be helpful. Listen for the camera to drive the lens focusing rearward and then forward followed by the shutter release. For each image taken, I fully/immediately depressed the shutter at the start of AF and used a 1/8000 second shutter speed with the center AF point directed toward a very bright subject. These are best available speeds. Switch to AF-C continuous focus mode and focus acquisition speeds are far faster. While this motor still cannot drive AF very fast, the defocus-then-focus routine goes away in AF-C mode and the experience is much better. Why shouldn't AF-C mode be used all of the time? The reason is that AF accuracy is sacrificed with a much lower frame-to-frame focus accuracy consistency being realized with a still subject. Overall, if you are shooting leisurely, this lens' focus speed is not an issue. 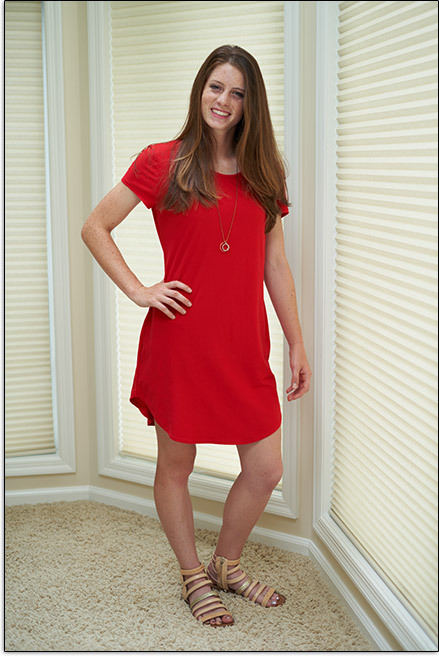 Advanced and professional photographers will very likely be left wanting better. Another trait of a low-end focusing system is lens barrel extension, typically at short focus distances, and this lens has that feature. While I do not prefer that trait, this lens is small enough and the extension short enough that it doesn't bother me. That a lens focuses accurately consistently is a huge factor and this lens checks that box (in AF-S mode). The manual focus ring is nicely sized, rather smooth, nicely dampened and the slow rotation speed is just right for precise manual focusing at all distances. I mentioned "slow" speed. This is a focus-by-wire AF system and a faster rate of focus distance change kicks in a higher speed focus distance adjustment. While I typically dislike these designs, this implementation seems to work well, with enough rate change needed to make the speed shift change happen more intentionally. There is only modest change in subject size as focus is adjusted, even to full extents. With a 17.7"(450mm) minimum focus distance creating a 0.14x maximum magnification, you will not find this lens comparing high on general lens specifications charts, but at 50mm, it is about average. Figure that a subject measuring about 9.5 x 6.275" (241 x 159mm) will fill the frame at minimum focus distance. 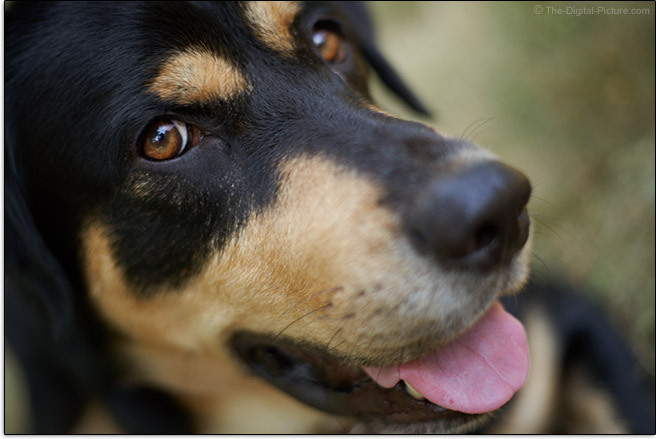 It seems that dogs don't like lenses positioned between the imaging sensor at only 17.7" (450mm). 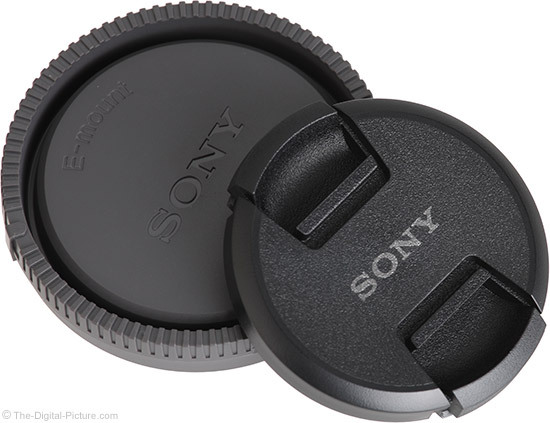 The FE 50mm f/1.8 Lens is not compatible with Sony teleconverters. One of the first cuts made when producing a cheap lens is often build quality. 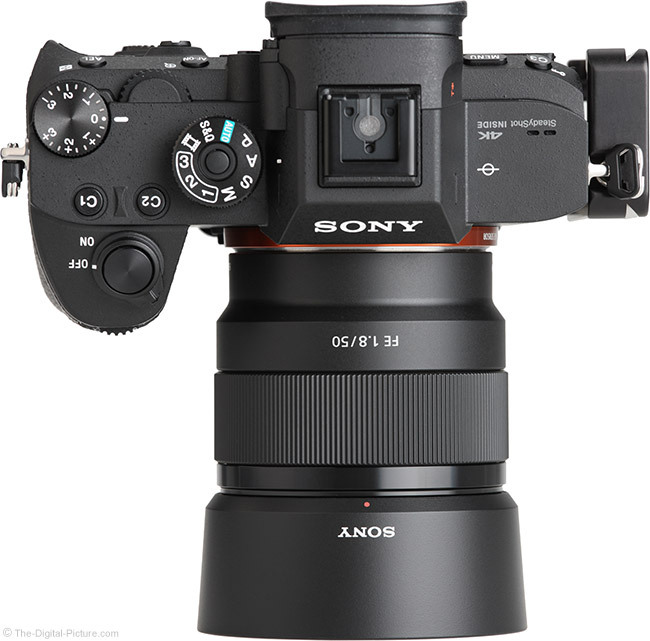 If significant such cuts were made with this lens, Sony has hidden them well. 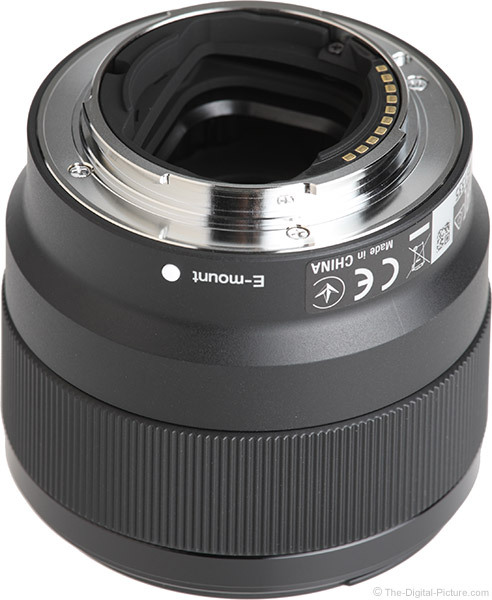 This attractive-looking lens has a quality plastic exterior barrel with a metal mount behind it. As mentioned, this lens extends during focusing, though only 0.37" (9.4mm) at minimum focus distance. I've already talked about the nice quality focus ring and with no other features on the barrel, I'll briefly discuss what's not there – an AF/MF or stabilization switch. I personally miss having an AF/MF switch and, with IBIS, a stabilization switch. The switches are much faster to use and it is easier to visually confirm settings than looking at menu options. Of course, it is harder to inadvertently change a menu setting than move a switch and switches add moving parts that could be a source of failure. Seldom are cheap lenses weather sealed and this lens fits that norm. Definitely use a rain cover when working in a (potentially) wet or dusty environment with this lens. For many more comparisons, review the complete Sony FE 50mm f/1.8 Lens Specifications using the site's Lens Spec tool. Here is a visual size comparison of some of the above-listed f/1.8 lenses. Note that these lenses are mount-aligned. 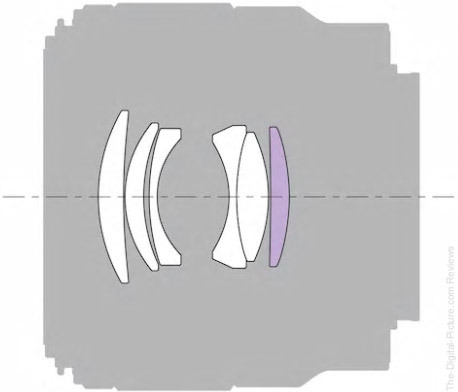 The Sony lenses appear positioned higher than the others due to their shallow lens caps. Use the site's product image comparison tool to visually compare the Sony FE 50mm f/1.8 Lens to other lenses. The Sony FE 50mm f/1.8 uses 49mm threaded filters. Among typical lens filter sizes, 49mm is quite small and affordable. But, they are not abundantly common. 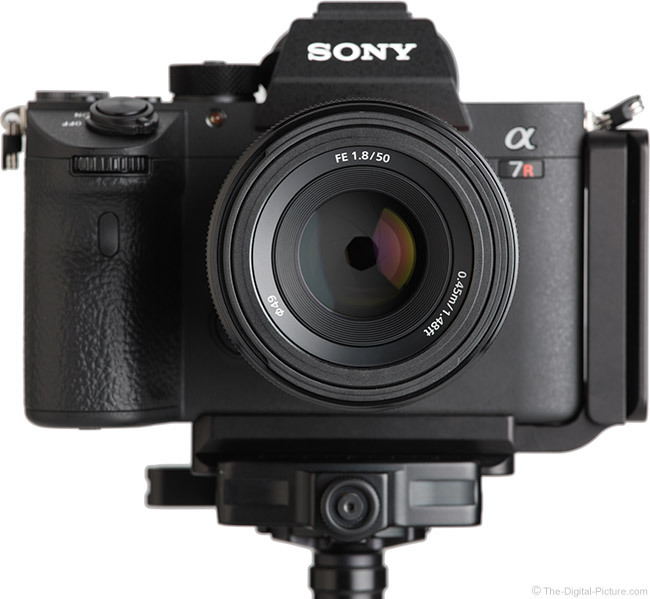 Sony includes the ALC-SH146 Lens Hood in the box. This semi-rigid plastic hood is round-shaped with a matte-interior and enables a camera and lens to sit lens-downward on a table or other flat surface (use your discernment when trusting this practice). It provides good protection from bright flare-inducing light and from impact. Always use it. Reversed, this hood stores compactly. No lens case is included in the box, but finding a case for a common, small form factor lens is not challenging. I like Lowepro's Lens Cases. They are very nice yet affordable solutions for single lens storage, transport and carry. That this is Sony's least expensive lens and that it has some strong attributes including a wide aperture and good image quality makes this lens a good value. Knowing that the Sony FE 50mm f/1.8 Lens is priced modestly higher than the closest Nikon equivalent will not raise any eyebrows, but realizing that the Canon option costs well under half as much will. 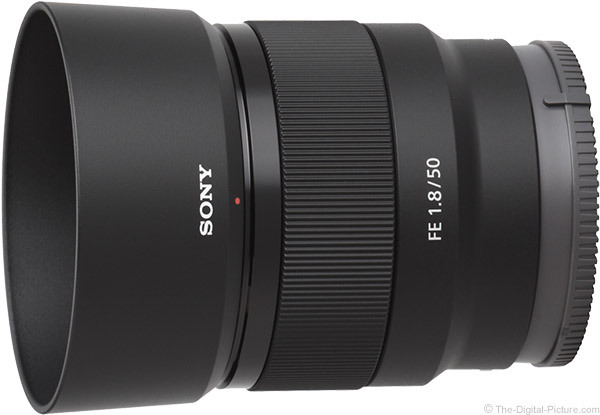 As an "FE" lens, the Sony FE 50mm f/1.8 Lens is compatible with all Sony E-mount cameras, including both full frame and APS-C sensor format models. 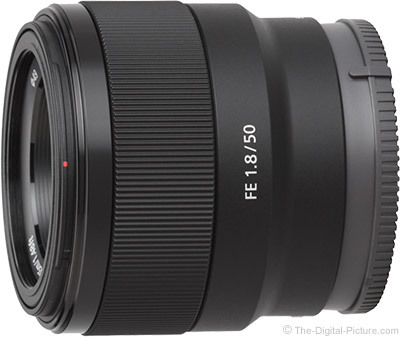 The reviewed Sony FE 50mm f/1.8 Lens was online-retail acquired. There are a lot of 50mm and close-to-50mm lenses available. The Zeiss-designed Sony FE 55mm f/1.8 ZA Lens, although it does not have exactly the same focal length, shares the same max aperture and I'm reviewing this lens at the same time, so I'll choose this comparison to share with you. The 55mm ZA lens is significantly more expensive (4x higher), so this comparison will highlight what is and is not missing in the cheap 50mm lens. In the Sony FE 50mm vs. 55mm f/1.8 ZA Lens image quality comparison, the 55mm lens is considerably sharper at f/1.8 and the real world difference is quite recognizable, especially in the extreme corners. By f/2.8, the difference in the center of the frame is mostly gone, though the peripheral difference remains noticeable until at least f/5.6. 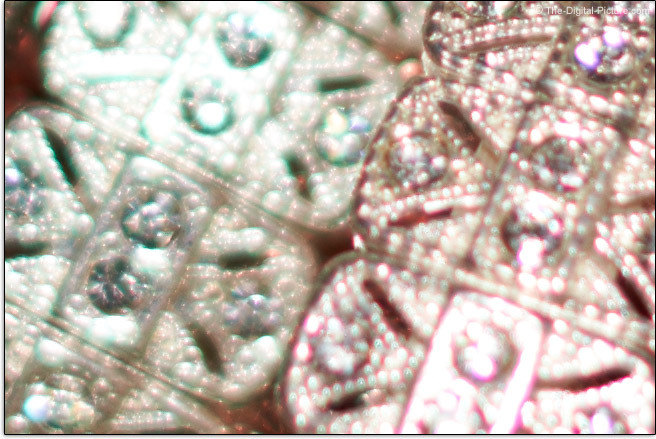 The 50mm lens has very slightly less linear distortion. Use the site's lens comparison tools to compare other lenses to the Sony FE 50mm f/1.8 Lens. 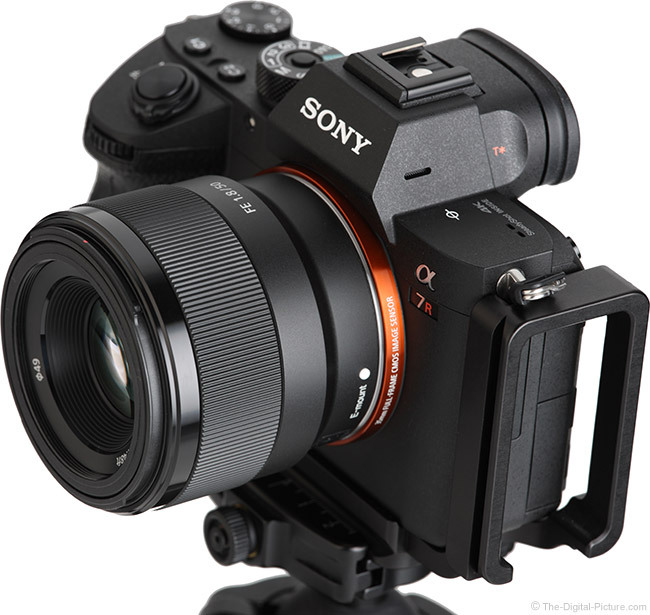 It is compact, maintaining the spirit of Sony's smaller MILC cameras. It is light and effortless to take with you. It is cheap, making loss or damage a relatively low risk (hint for kid use). And, it is capable of excellent image quality (though not at the widest apertures). 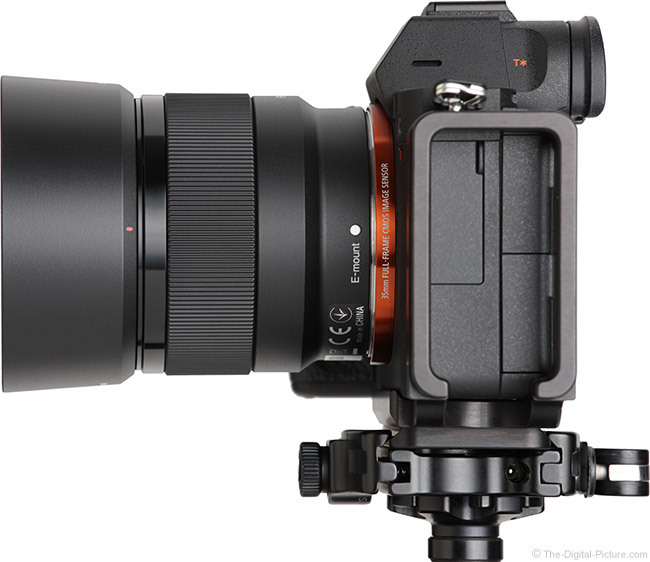 Those attributes combine to catapult this lens near the top of the Sony FE lens best sellers list.